Very few groups of animals can rival birds for the color palette they display. I'm lobbying for a new color called: Honeycreeper Green. 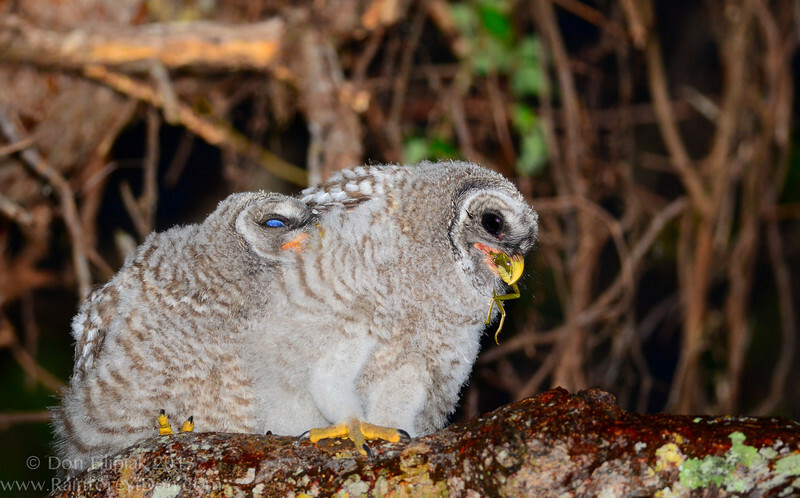 Young Barred owls (Strix varia) eating a Green treefrog (Hyla cinerea) that mom just dropped off. The owls dropped the first three frogs that she delivered, but finally managed to get this one down.